Last year the big craze around Seattle was Poke. It was on every menu, every food truck, and even Costco caught on and started selling it. And to be honest, it was and still is pretty awesome. But it wasn't just Poke, but food in bowls that drew our culinary attention. From Bip Bim Bap, Rice Bowls, Salad Bowls to deconstructed sushi, food in bowls is the bomb! Food in bowls is awesome. There is this ease and feeling that everything you need is on one smart place. Mix in some grains, some veggies, and protein and top it off with a sauce. You have a combo that's good for lunch or dinner. Make it your way. That's what we love about bowls of yumminess. Want more texture and protein? Add an over easy egg on top! Throw these things in a bowl.. over rice or lettuce and you are done! When I was a kid, salads were heaps of lettuce with ranch dressing slopped over the top. So as an adult, the idea of being a vegetarian and being committed to a life of salads didn't sounds like something I could do. One afternoon I watched a friends of mine who is a vegetarian make a salad. He started with cucumbers, then apples, then nuts, and eggs, then more and more went into the bowl. On the very top he tossed on a few spinach leaves and grabbed a fork. I stood there in shock that all of those things could actually be called a salad. But it opened my eyes to what a salad could really be. Get creative! Start with a base you like to layer upon. Is it lettuce or maybe rice? Are you looking for sweet, tart, salty, or savory? Don't be limited by salad dressing, try new things. What about BBQ sauce, lemon juice, or olive oil? The choices are yours. Go for it. 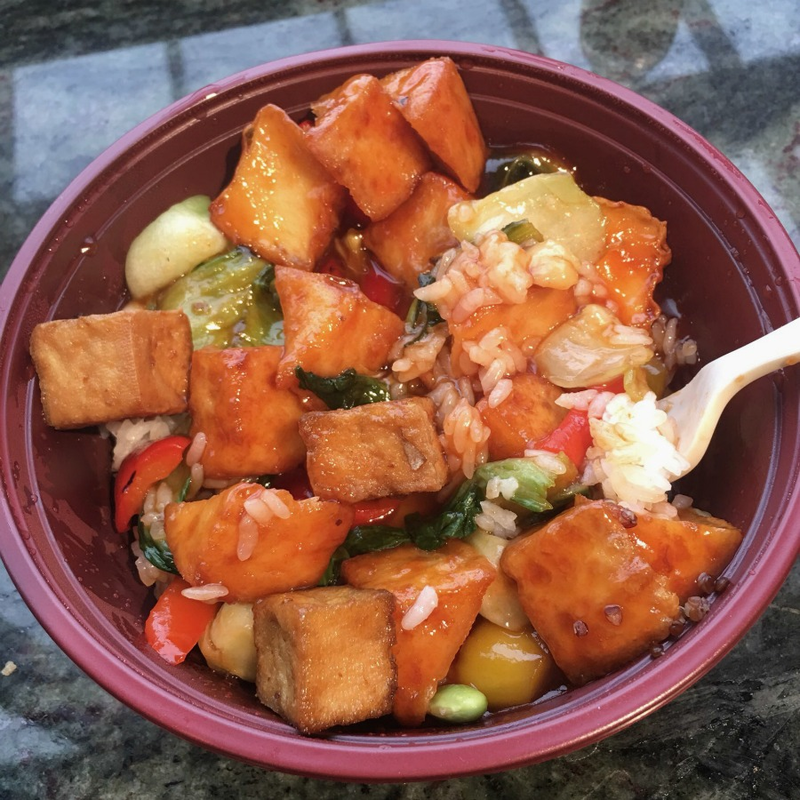 What's your favorite bowl food?